Kangana Ranaut is known to have no filter when it comes to talking about her contemporaries. In the past few occasions, the actress has taken digs at Alia Bhatt. From calling her and Ranbir Kapoor, "Are they young or dumb" for their apolitical views to recently dissing Alia's performance in Gully Boy. Kangana had even expressed her disappointment over Alia Bhatt not praising Kangana Ranaut's performance in Manikarnika: The Queen of Jhansi. and giving the premiere of her film a miss. 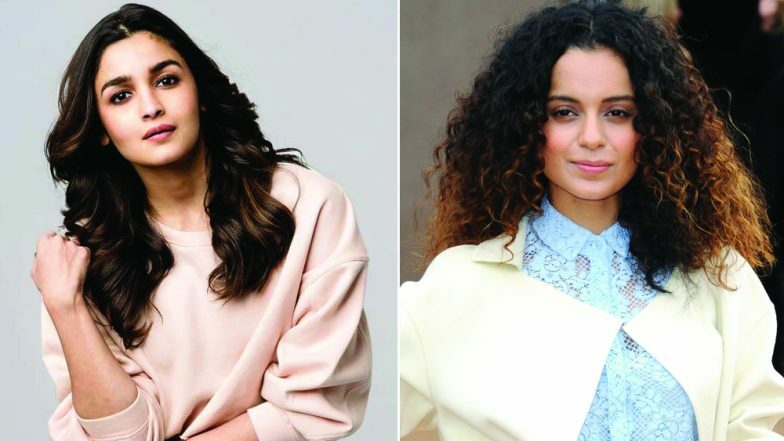 Recently, Alia Bhatt who has been promoting Kalank, was asked about what she thinks about Kangana's comments and the actress said, "I respect Kangana’s work a lot and I respect her opinion. If she feels a particular way she must have reason to feel that way. I would rather remember how much she had praised me after watching Raazi. And I’d just like to focus on my work. Maybe she will appreciate me again if I work hard enough." Well, we must say, that was a mature response from Alia. Lucky for Kangana that Alia is not actually like the Gully Boy character whose go-to response would have been 'Dhoptungi'. We wonder what Alia Bhatt will have to do to impress Kangana Ranaut. Alia Bhatt is all set for the release of her upcoming film Kalank which also stars Varun Dhawan, Aditya Roy Kapur, Sonakshi Sinha and Madhuri Dixit Nene in lead roles. The film directed by Abhishek Varman is all set to release on April 17.